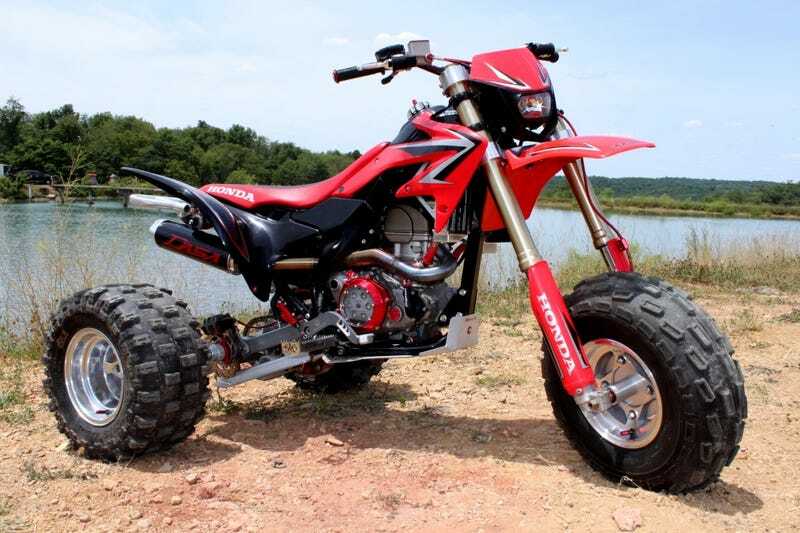 A TPC converted 450R for your time. 20x11-9 is an odd size in a race tire. A friend that races a quad converted 350X has already warned me about sidewall flex with these. But.. I have so many 9" wheels.. Crap! Upgrading to a 10" wheel opens up options. American Racer, Hoosier and others are making tires for ATVs on flat tracks. But the size changes. Now, I need 10" wheels and I’m limited to 18" or 18.5" in diameter. I don’t know about this. Heck. I’m just happy to be at the point where I’m even worried about this.